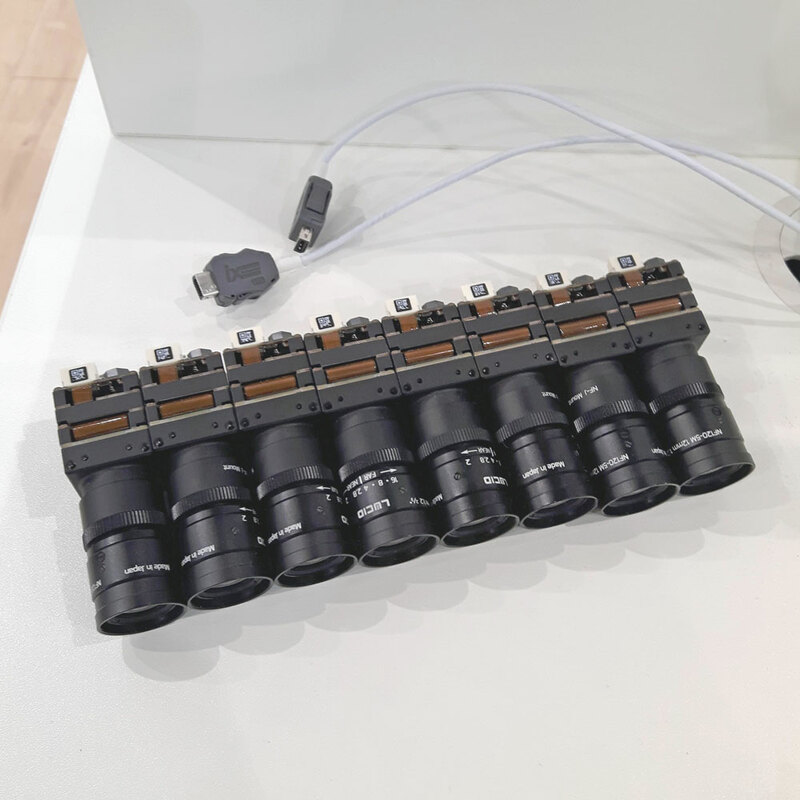 At VISION Stuttgart 2018, the leading trade show filled with innovation and new vision technology, LUCID was showcasing inspiring products like our transformable Phoenix, the robust Triton, the high resolution Atlas 5GBase-T camera, and the Helios ToF camera featuring Sony DepthSense technology. Thank you for visiting our booth at the show and for those who couldn’t make it please read below for descriptions and photos of our VISION 2018 product demonstrations. Did you know that the Phoenix GigE PoE camera models can be transformed into 90° and 180° angles? The Phoenix camera is not only the smallest GigE Vision PoE camera, but it is also the only transformable camera. Individual camera board stacks can be unscrewed and unfolded to various angles, for example, it can be transformed into 90° or 180° angle configurations for the ultimate custom fit. In addition, some Phoenix models have the option of using NF-mount lenses, which are up to 40% smaller than C-mount equivalent lenses. S-mount options are also available for those needing even smaller lenses. On the back of the Phoenix customers can choose the ix Industrial™ connector instead of the traditional RJ45 connector. The ix connector is 70% smaller, offers positive snap in locks, EMC shielding, and high vibration resistance. All these miniaturization technologies allow designers to reduce their footprint without compromising on camera performance or reliability. Simplifying a vision system leads to lower costs and reduced maintenance. In this demo we are showcasing synchronized triggering without the need for additional GPIO cabling. The scheduled action command is sent through regular Ethernet cabling allowing the cameras to capture a synchronized rotating view of the flower and clock timer. The Atlas camera brings together large format Sony Pregius sensors with the increased bandwidth of 5GBASE-T interface. 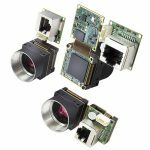 Sony takes their Pregius imaging performance and expands it into their large format APS-C and 4/3″ global shutter sensors. With a dynamic range above 70dB and a low read noise below 2.5 e-, customers can upgrade to better imaging performance or simplify their multi-camera system by using fewer high resolution Atlas cameras. In addition, many customers have already deployed complex vision systems using standard CAT5e or CAT6 cabling and dismantling their system can be a costly endeavor. 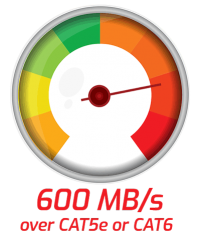 By using the Atlas and by upgrading the interface card or switch to NBASE-T hardware, one can enjoy 600 MB/s speeds without having to re-cable their system. Demo 5 & 6. Triton - The Industrial Camera Evolved. The Triton’s electronics are housed in a sealed two-piece aluminum case secured by 4 M2 screws. The M12 connector for Ethernet and M8 connector for GPIO provides a robust and sturdy connection resistant to shock and vibration. For even more protection, an optional IP67 lens tube can be attached for dust proof and water resistant operation, eliminating the need for an external case. The camera has a wide operating temperature range from -20°C to 55°C ambient. At only 67 grams and 29 x 29 mm, the Triton is the smallest IP67 GigE PoE camera making it an easy fit for reliable operation in any environment. Setting a new price-performance standard. Register or log in to view pricing. The Helios camera brings a new level of accuracy and precision to Time of Flight (ToF) 3D technology. While currently only a prototype, the Helios improves the technology by utilizing Sony’s DepthSense sensor. Sony’s backsided illuminated sensor technology, along with 4 VCSEL laser diodes operating at a wavelength of 850nm, produces an accuracy of less than 5mm from a distance of less than 1.5m with a standard deviation of only 2.5 mm. The Helios ToF camera is designed for accurate object detection with applications ranging from pick and place, collision detection, palletizing, and load verification. The Helios camera is planned for production release mid 2019. 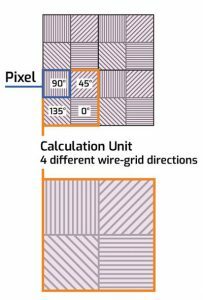 Did you know that each pixel has 1 of 4 different wire-grid polarizer directions? Click here to learn more about polarization. Sony released their first ever polarized sensor using their Polarsens™ technology and LUCID was the first to debut these sensors earlier in 2018. Built upon their Pregius 5.0 MP IMX250 CMOS sensor, the IMX250MZR (mono) and IMX250MYR (color) Polarsens sensors incorporate a layer of polarizers above the photodiodes. The polarizer array layer is placed on-chip and is an air-gap nano wire-grid coated with an anti-reflection material that suppresses flaring and ghosting. This on-chip placement reduces polarization crosstalk and improves extinction ratios. The polarizer array is comprised of four different angled polarizers (90°, 45°, 135° and 0°) which are placed on each pixel. Every block of four pixels makes up a calculation unit. The relationship between the different directional polarizers in this innovative 4 pixel block design allows the calculation of both the degree and direction of polarization. Polarsens sensors are available in the Phoenix (PHX050S-Q/P) and Triton (TRI050S-Q/P) camera models. VISION TO WEB: Mit der kanadischen Firma Lucid ist ein neuer Stern am Vision-Himmel aufgegangen. 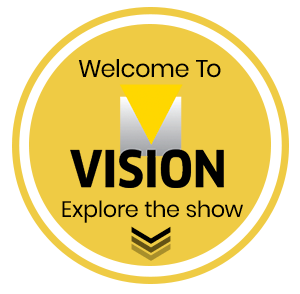 Was zeichnet dieses Unternehmen aus, was will man anders machen, als der Wettbewerb und welche Highlights hat das Unternehmen zur Messe VISION mitgebracht? Torsten Wiesinger, General Manager EMEA, erklärt den ersten Messeauftritt und die Vorzüge der neuen Produkte. Torsten Wiesinger, General Manager EMEA, explains the the advantages of our new products the Atlas, Helios, and Triton machine vision cameras. If you have any questions about these products, please contact us for more information.